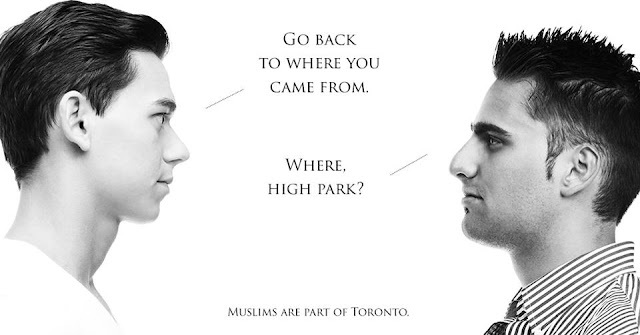 Toronto was built on diversity. We embrace and stand proud of our multicultural roots. The City of Toronto and OCASI-the Ontario Council of Agencies Serving Immigrants are launching a Toronto public education campaign to address xenophobia, Islamophobia, and anti-immigrant sentiments. The war in Syria has created a massive humanitarian crisis. Since November 2015 approximately 4,500 Syrian refugees have settled in Toronto. Many residents and community groups have been very supportive and welcoming to these new Torontonians and have provided monetary, material and social support. The City Council approved the Refugee Resettlement Program in October 2015. As part of that program Council directed that a campaign be created to dispel and prevent rumours and stereotypes that undermine social cohesion and community-building between immigrant and Canadian-born populations, through education and awareness. It is important that Torontonians from all walks of life take responsibility for not only welcoming refugees but also examining assumptions and stereotypes they may hold about Muslims, racialized communities, refugees in general, and refugees from the Middle East and Africa in particular. The campaign hope that it will start to shift some of people’s erroneous and harmful assumptions towards refugees. The campaign, created in coordination with social impact agency Public Inc., includes out of home advertising as well as a digital and social media strategy aimed at sparking conversation. The overarching long-term goal is to create a Toronto that says “No” to all forms of discrimination and racism.